Tremendous Savings of 50% to 70% on high quality medical care! 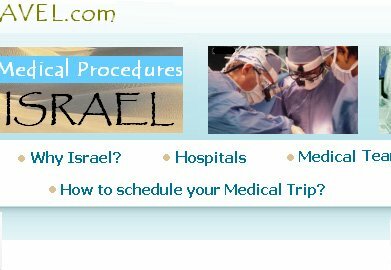 Israel is now considered as the Best worldwide destination for medical tourists seeking lower medical costs and provides an unbeatable combination of world class facilities, world renowned medical expertise and highly specialised and experienced Medical professionals. 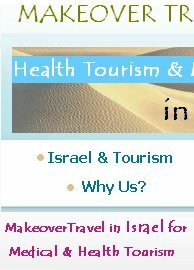 When we first started Makeover Travel "Medical tourism", we wanted to be known for more than just great cost savings. Cost savings are important of course, but we felt that along with cost savings we needed to include impeccable service from the moment you leave home, through your time in the host country until your departure for home. Healthcare is one area where quality is more important than cost. 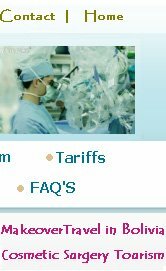 World Class Healthcare at The Lowest Medical Cost for your Surgical Procedure. Makeover Travel has a wide network of highly specialised and experienced Medical professionals (more than 1.400 physicians) who will provide all your medical care. All treatments will take place in specially selected and approved private medical hospitals with excellent international ratings. Makeover Travel's negotiated rates and contractual agreement with each medical center stipulate that our clients receive the lowest possible price for their surgical procedure. As you know healthcare is one area where quality is more important than cost. So how do our hospitals to provide high quality at such low rates? Fees in the U.S. are driven by labor overhead, administrative expenses, and insurance contracts. Over 80% of hospital costs are labor related according to a recent World Health Organization report which helps to explain some of the cost advantages for countries with low labor costs. Makeover Travel eliminates these burdens by connecting patients directly to surgeons, allowing us to offer premier services at prices unavailable in the U.S.